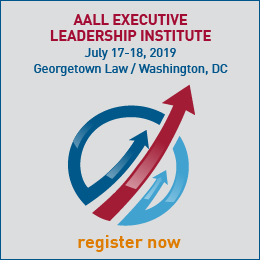 Position your company as a trusted advisor with this new opportunity to take an active role in AALL’s educational ecosystem. Showcase your thought-leaders, promote discourse, or inspire innovation—it’s all up to you. 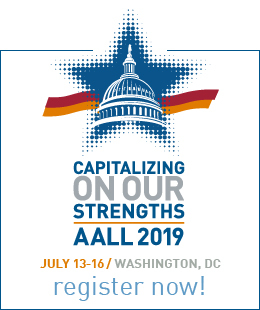 * Showcases will be promoted in the AALL Event Calender and in the monthly AALL Education Update after payment is received until the date of the webinar. All promotions dependent on receiving information and materials from vendor in a timely manner. 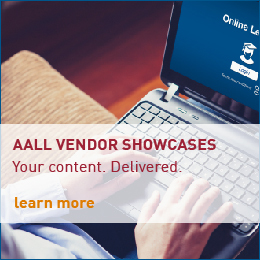 AALL will contact you if your desired showcase date is not available. Each showcase is limited to 60 minutes and 1,000 attendees. More than one vendor may participate in a showcase. Vendors will be invoiced (net 30) with signed contact. Showcase promotions will not begin until payment is received. No refunds will be given. Showcases cannot be canceled after payment has been received. 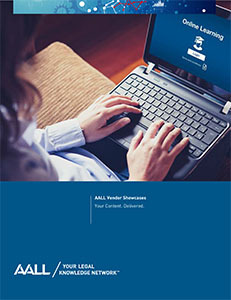 AALL will provide the webinar platform and slide deck template; vendors are responsible for moderator/speaker and any other production costs. 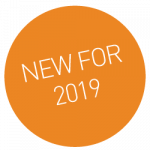 Content may not be solely product-driven, must offer compelling educational topics, is subject to approval by AALL, and must be submitted on or before the published deadlines. Vendor deliverables include: vendor logo(s); showcase title and description; moderator/speakers names, bios, and headshots; and slides. Vendors must use the AALL slide template; alternations are not permitted. To reserve your opportunities, contact Director of Education Celeste R. Smith, CAE, via email or phone at 312.205.8032.